Main gate, Faculty of Literature and Humanities, in the Medina of Meknès, a UNESCO cultural heritage site. 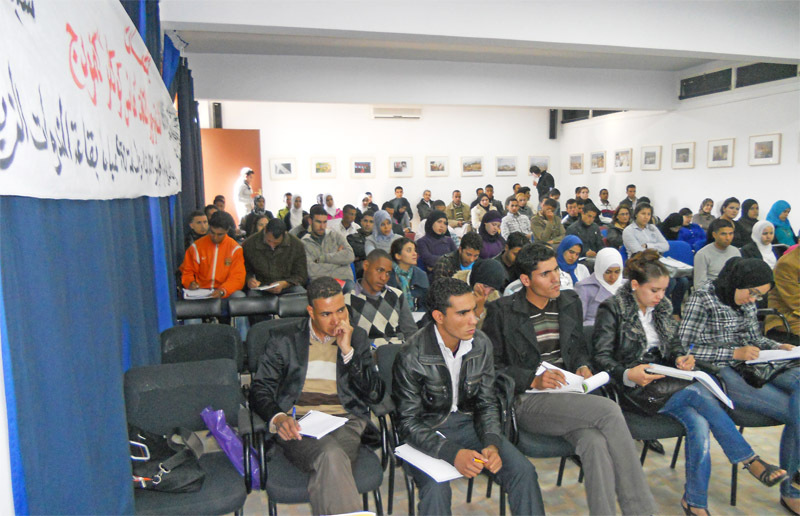 From left: Mr. Mohamed Jalid, Head of the Casablanca Office, Al-Ahdath Al-Maghribia Daily, translator of "Global Justice or Global Revenge?" into Arabic; Dr. Hamid Lechhab, President of the Association of Moroccans in German-speaking countries, translator of Hans Köchler's works into Arabic; Dr. Hans Köchler; Prof. Mohamed Andaloussi, Director of the Dept. 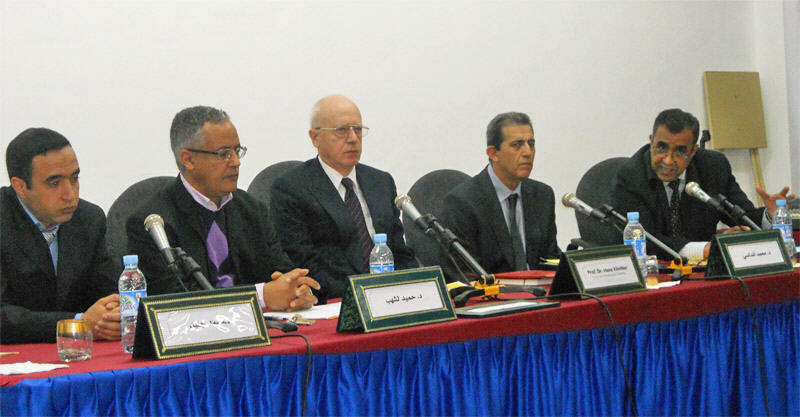 of Philosophy, University of Moulay Ismaïl; Prof. Mazouni Mohamed, Dept. 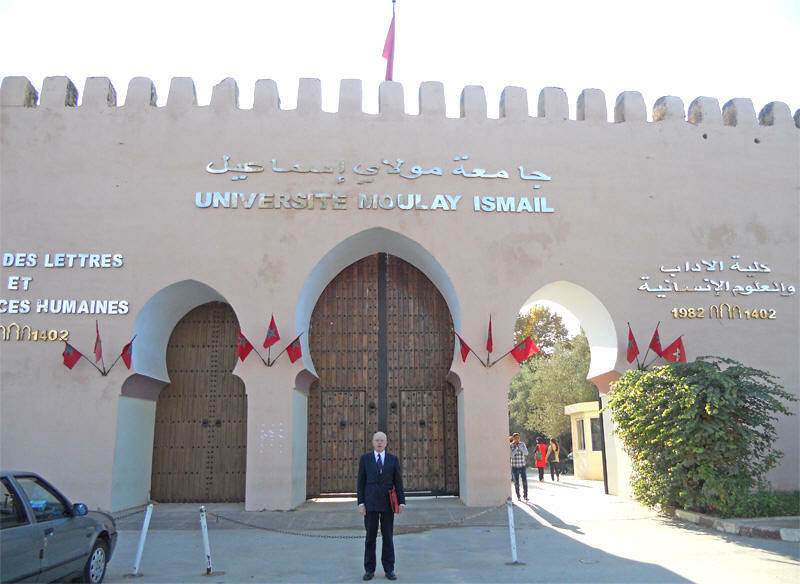 of Philosophy, University of Moulay Ismaïl, Moderator of the Colloquium. 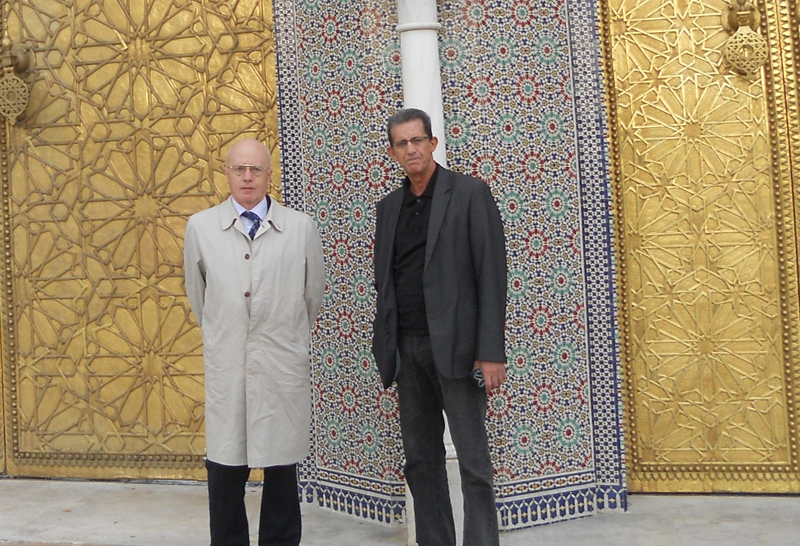 Hans Koechler, left, with Prof. Mohamed Andaloussi, Chairman of the Department of Philosophy of University Moulay Ismaïl, at the main gate of the Royal Palace in Fes. 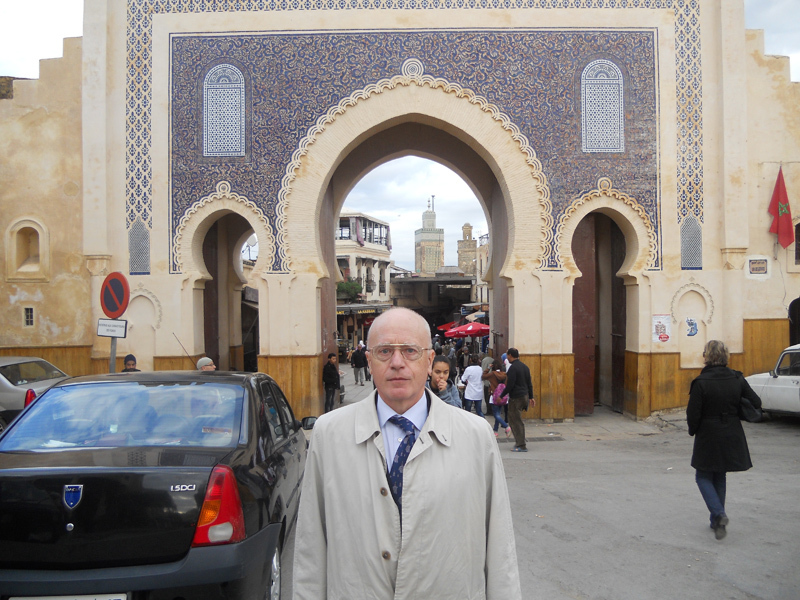 Gate of the Medina of Fes. 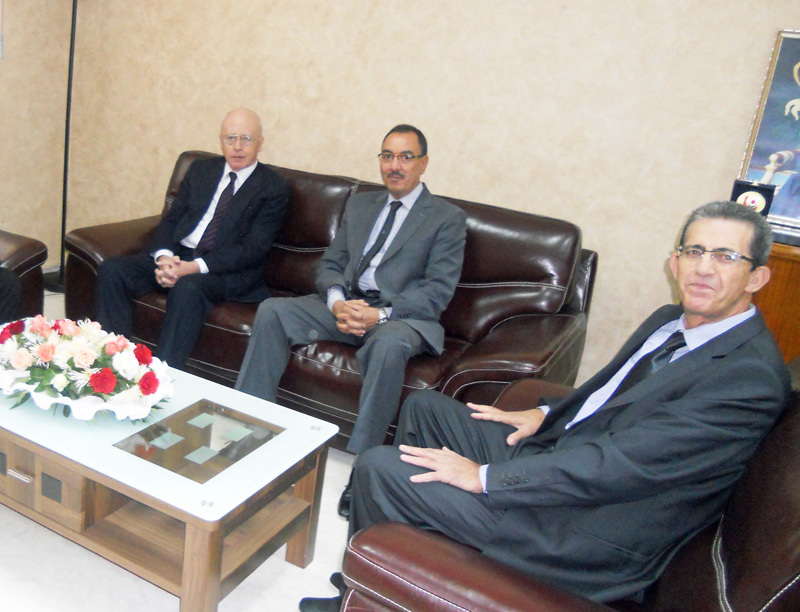 Hans Köchler, left, with the Dean of the Faculty of Literature and Humanities of the University Moulay Ismaïl, Dr. Ahmed el-Malki, center, and Prof. Mohamed Andaloussi, Director of the Department of Philosophy, in the Dean's Office. 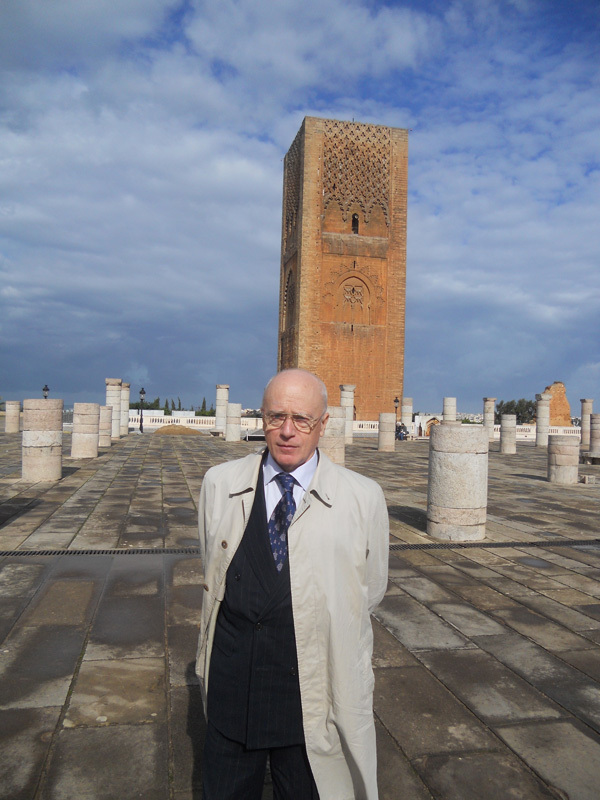 The "Unfinished Minaret" (La Tour Hassan), built in 1195, amongst the ruins of the Sultan Yacoub al Mansour mosque, adjacent to the Mausoleum of King Hassan II, in Rabat.